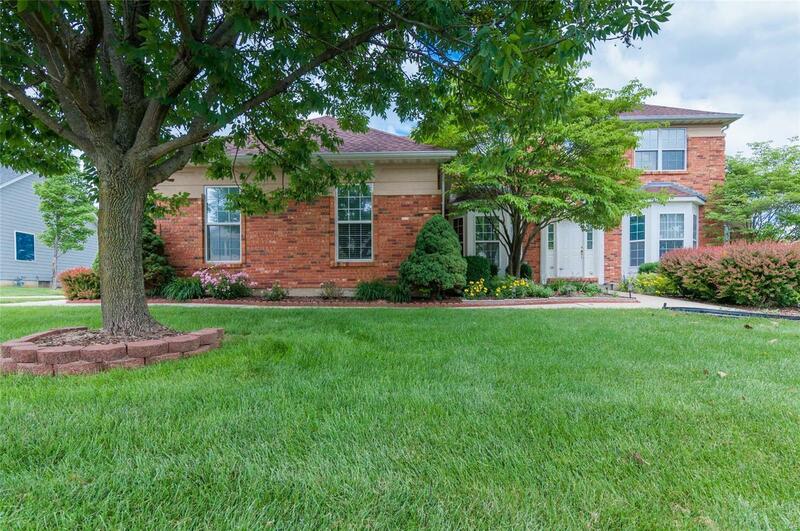 Absolutely beautiful all brick home on over half an acre in Stonewolf. You will love all the space and features this home offers! Foyer entry, living room, dining room with bay window, stunning 2 story great room with wall of windows & gas FP. Main floor master suite, bright and cheery eat in kitchen with center island and desk area, main floor laundry & powder room. The upper level boasts 3 nice size guest rooms, 2 full baths (one is jack and jill). The lower level offers a kitchenette, bonus room, 3/4 bath and a huge family room. The lower level is an entertainers dream or would work great as an in law suite. This is a beautiful home on an amazing lot and comes with a transferable golf package!